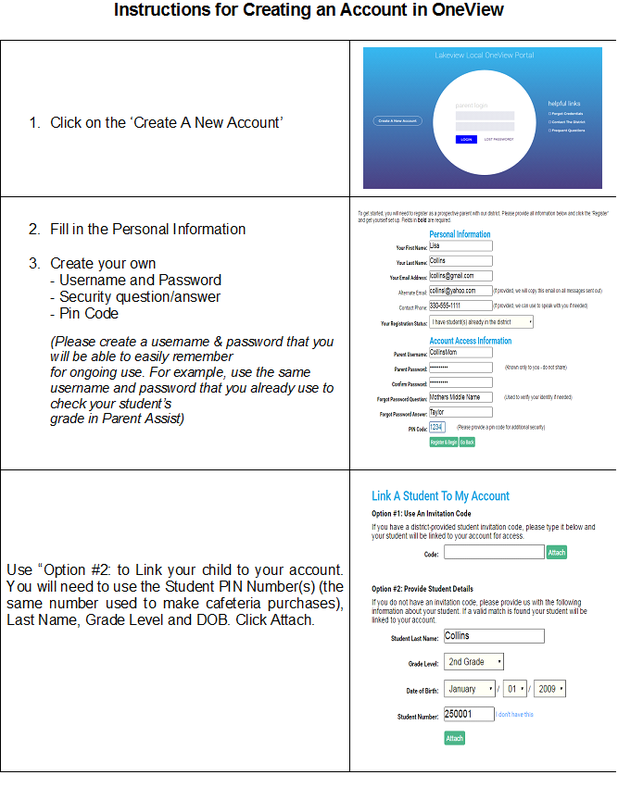 We are writing to notify you of a new, online parent portal called OneView. OneView is where you will find the district’s annual student forms that previously were only available on paper the first week of school. With the help of OneView we are able to offer you an online option for completing the forms. It is our hope that this will provide a more convenient option for the form completion. We hope that you will take a moment to visit the OneView portal at https://greenville.esvportal.com/ and create your own account. Please follow the instructions on the opposite side of this letter to assist you in this process. You will need your student’s PIN number when linking students to your account. This PIN is the same six-digit number the students use to make purchases in our cafeteria. The electronic, online forms (Student Health Form, Emergency Contacts, etc) are available immediately. You may choose to complete them by the paper version provided or online through the portal. It is most helpful if you complete the forms in either format by September 2, 2016. If you have questions, please contact Andrea Townsend at 937-548-3185 ext. 723 so that we may assist you.